Our phones play an essential role in our daily lives. They serve as alarm clocks, music and video players, calculator, and most importantly, used for connecting to other people through calls, texts or chats. Well, if you are constantly checking your phone for any updates especially even when charging, it would be easier for you to look at it if in a dock. 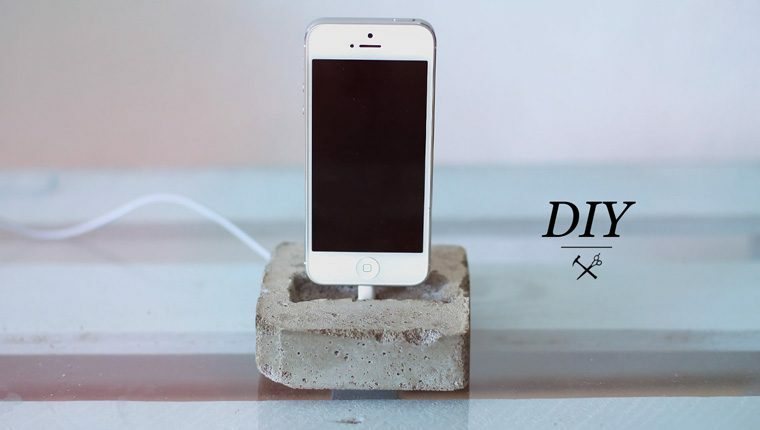 So here’s one creative trick that you might one to try for your phone, a concrete phone dock. Yes, it’s made out of concrete, but it looks really cool. Here are the materials that you will need: phone charger, sand, cement, molding containers, and a mixing container. You’ll just have to shape out the look of the phone dock, and you will need two molding containers, one bigger for the base and one smaller for the space of the cord. Wait for at least a day before you can actually use your concrete phone dock but check it once in a while to ensure it looks perfect. I figure it would look best on your garden/balcony area. What do you think? Copyright 2019 © Pepe's How Tos. All Rights Reserved.